At Easter, we always tend to go out and enjoy a meal with our family. We often socialise with friends and enjoy the Easter holidays. With rare time off as a family, Ben and I like to make the most of the Easter break as a family and as a couple. 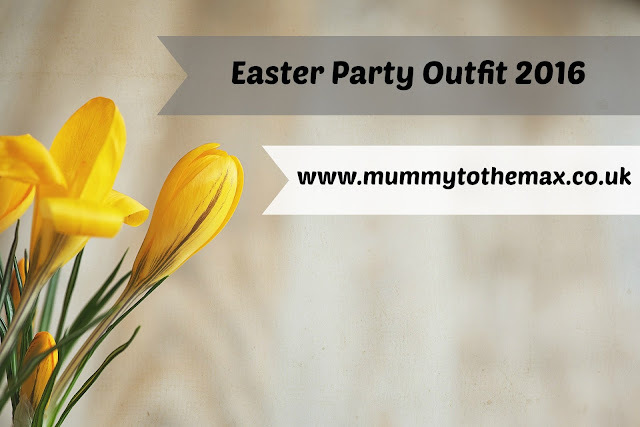 Today I wanted to show you my Easter Party Outfit for Easter 2016. I have chosen a dress which I think is fantastic for dressing up but equally can be dressed down. I love how simple this bag is. It is plain in colour but I think it would make a bold statement when in use. I think this bag would add a little colour to my outfit. The bag is of medium size which means I am able to add lots of small things in my bag including make up and simple things like money and my phone. I like taking extras out with me so this bag would be the perfect choice. This bag is stunning. Out of all the bags this bag stuck in my mind due to how pretty it is. This bag is a bag that is eye catching and would bring a lot of glamour to my outfit. It is a bag that would make me remember someone if I saw them carrying it. This bag is a little smaller in size than the Linea bag which means I would only be able to add the basics in my bag. I am obsessed with this bag. This bag would match my shoes and dress extremely well. This bag would be perfect for either going out to a meal or going out to a club later. This bag again is a small size so would only fit the basics in. Out of all the bags, I decided to go with the Lipsy Bag. I felt that the bag matched my outfit the best. To get my outfit you can purchase the Dickins & Jones Fit & Flare Pop Over Dress here. You can purchase the Dune Marleen Crossover High Heel Sandals here. My whole outfit, including a bag came in at a cost of under £100. What are your plans this Easter? What will you be wearing this Easter?